The Wanted fuse vintage folk, blues and country with rockabilly, bluegrass and rock and roll in a distinctive roots music mash-up—serving up full-throated full-throttle entertainment with edgy licks and infectious rhythms. 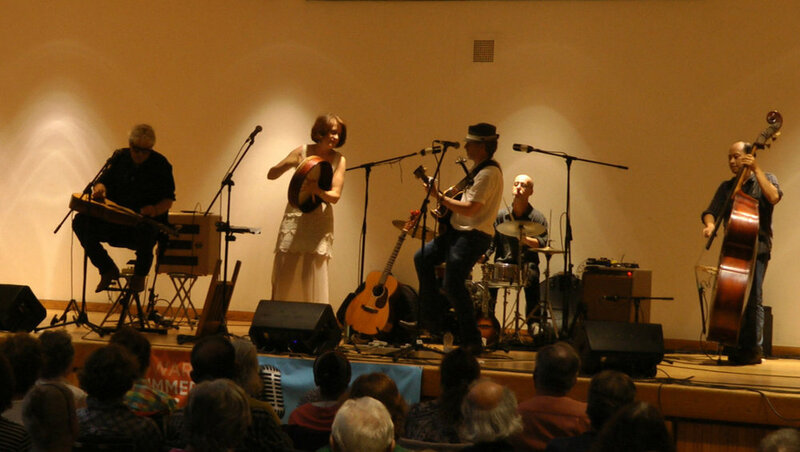 The band combines soaring harmonies and traditional instrumentation with unique elements such as washboard, bodhran, and lap steel guitar. The Wanted fuse vintage North American folk, blues and country music with rockabilly, bluegrass and rock and roll in a distinctive roots music mash-up. AltCountryForum (Europe’s leading roots music publication) describes the band's performances as: “…full of contagious, raucous, hip swaying music…Simply irresistible!” Tracks from The Wanted CD have aired on CBC Radio 1 and many other roots music programs throughout North America and around the world, and have been streamed over 275,000 times on Spotify. The Wanted reconstruct an eclectic mix of classics and infuse their own songs with a spirit that is darkly haunting, incisively witty, or just plain fun. This is full-throated, full-throttle entertainment, filled with edgy licks, infectious rhythms and soaring harmonies, combining traditional instrumentation with unique elements such as washboard, bodhran, and acoustic lap steel guitar. There’s a small orchestra of instruments here that a mere five musicians manage to deploy with great skill—forging a fresh sound by finding common ground in diverse material. This is a musical experience that audiences are sure to enjoy. To download this High Res pic, tap or left click on the pic, then tap and hold, or right click and choose from the drop down menu, to save the image to the location of your choice. To download this Web Res pic, tap and hold, or right click then click and choose from drop down menu, to save image to the location of your choice. In addition to performing at major international festivals, such as the Mariposa Folk Festival, at prestigious performance halls, such as the Oakville Centre for the Performing Arts, and showcasing at major music conferences, such as Folk Alliance International and the Canadian Country Music Awards, The Wanted have shared the stage with award-winning artists such as Buffy Sainte-Marie, Walk Off The Earth, Alan Doyle, Gord Bamford, Aaron Pritchett, the James Barker Band, Beverly Mahood and Jack de Keyzer. The Wanted CD tracks have been streamed over 350,000 times on Spotify and similar platforms, and SoundCloud tracks and YouTube and Facebook videos have over 45,000 plays. Mariposa included an original song by The Wanted on their 2018 festival compilation CD. To download this Tech Sheet and Stage Plot as a PDF, tap or left click on the pic, then tap and hold, or right click and choose from the drop down menu, to save page to the location of your choice.